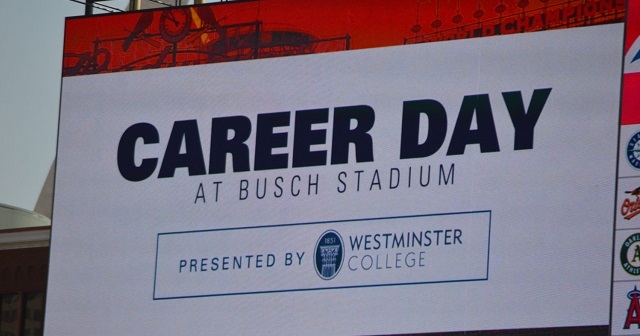 Last Thursday, September 14, approximately 3,000 high school students attended Career Day at Busch Stadium, sponsored by Westminster College. 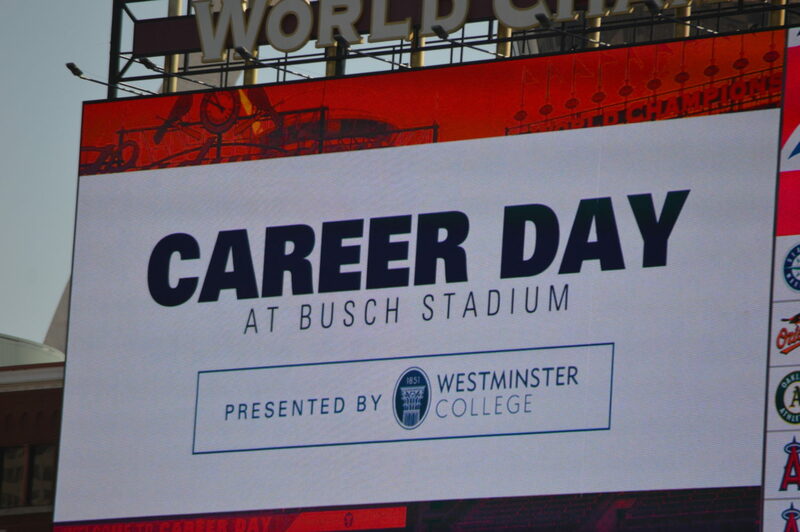 The event took place the day after Westminster sponsored a career day at Kauffman Stadium, home of the Kansas City Royals. 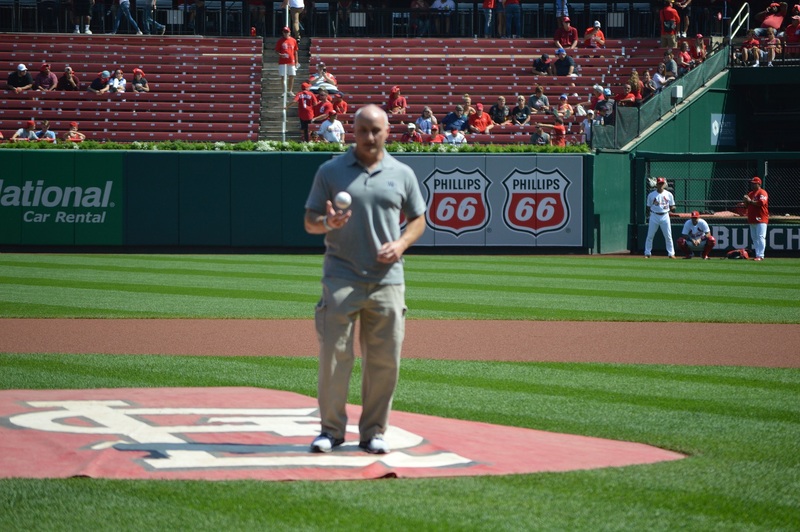 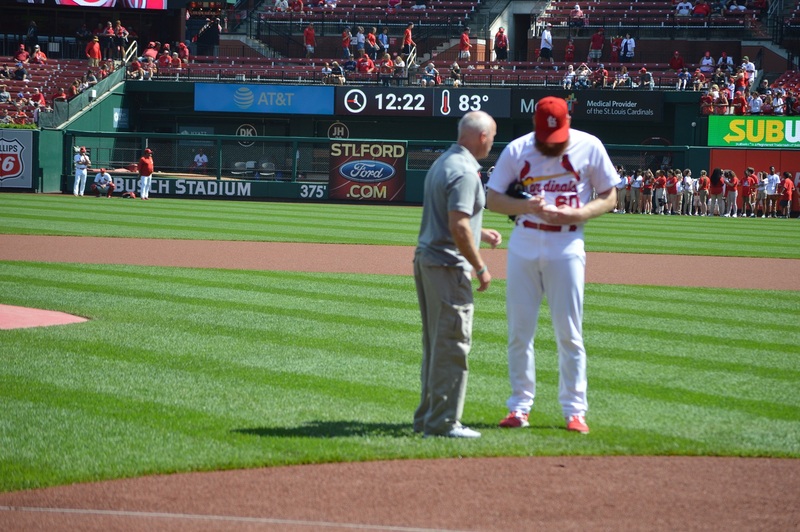 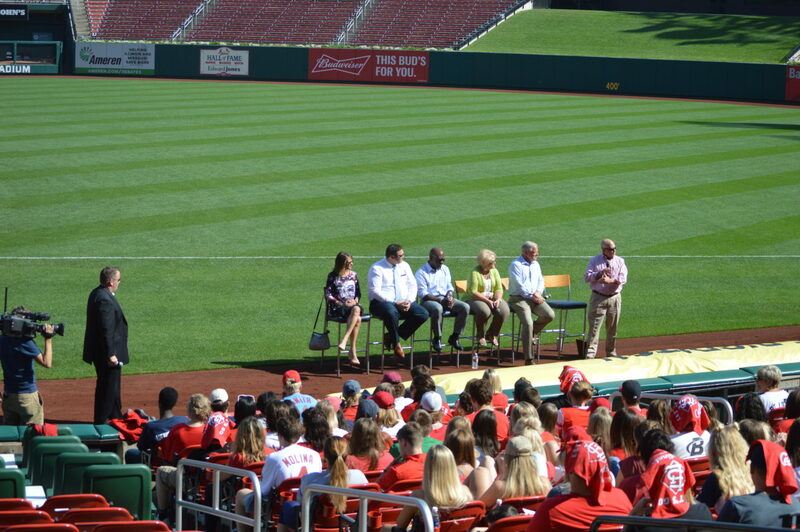 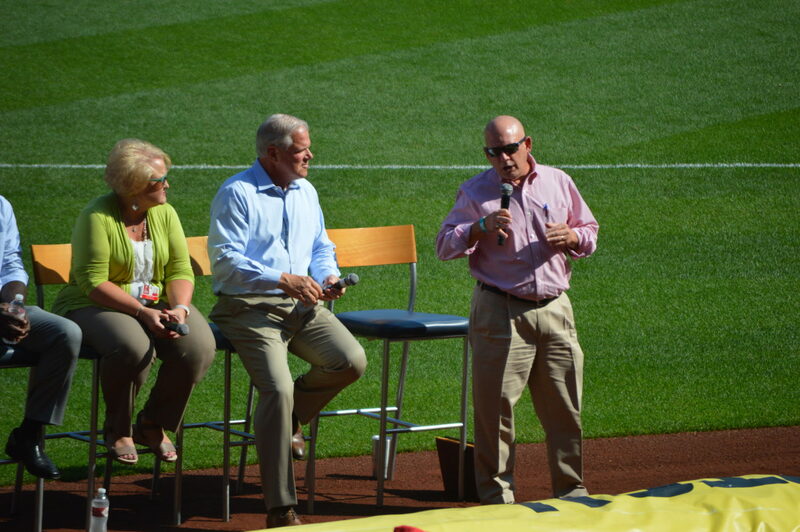 At Busch Stadium, students received career advice from a panel of Cardinals Front Office staff as well as Jack Croghan, director of Westminster’s Sports and Entertainment Business Management Program. 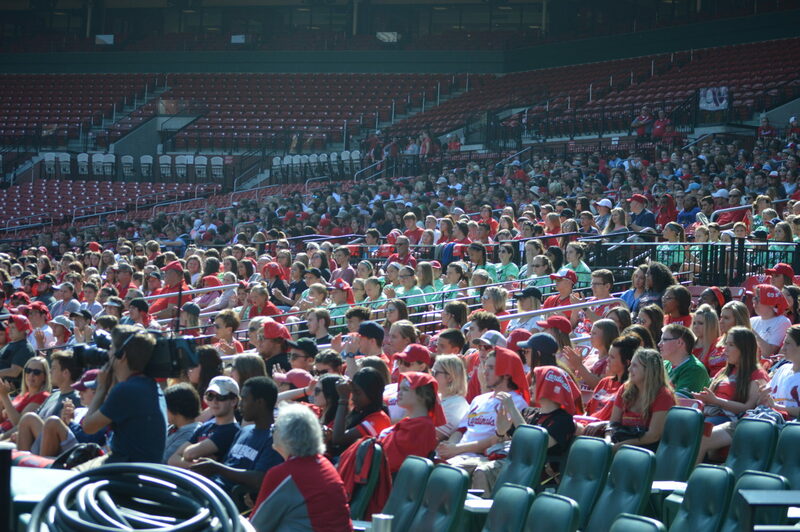 After the panel, students participated in a college fair, then stayed to watch the Cardinals beat the Cincinnati Reds 5-2. 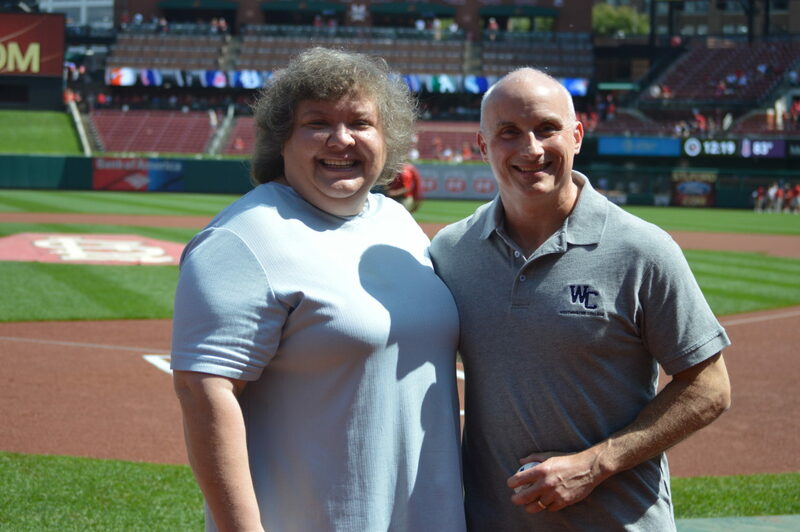 The ceremonial first pitch was thrown by Westminster College’s new Chief Financial Officer and Chief Operations Officer, Ken Maher. 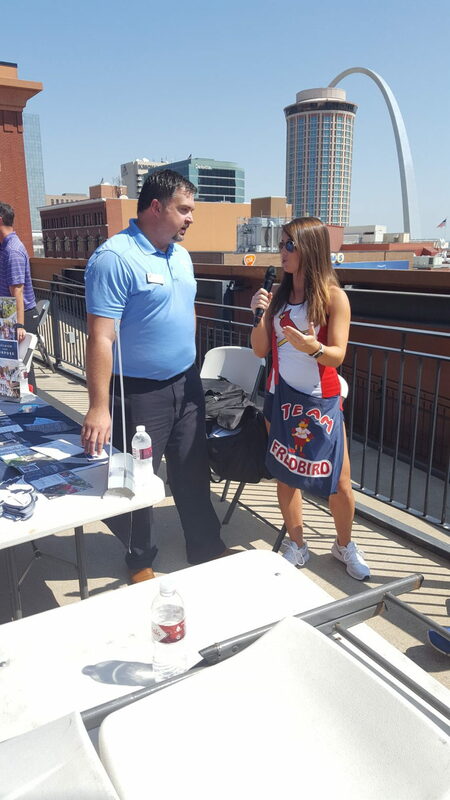 Westminster admissions representative Michael Gruzeski also attended, talking to students at an information booth for the College. 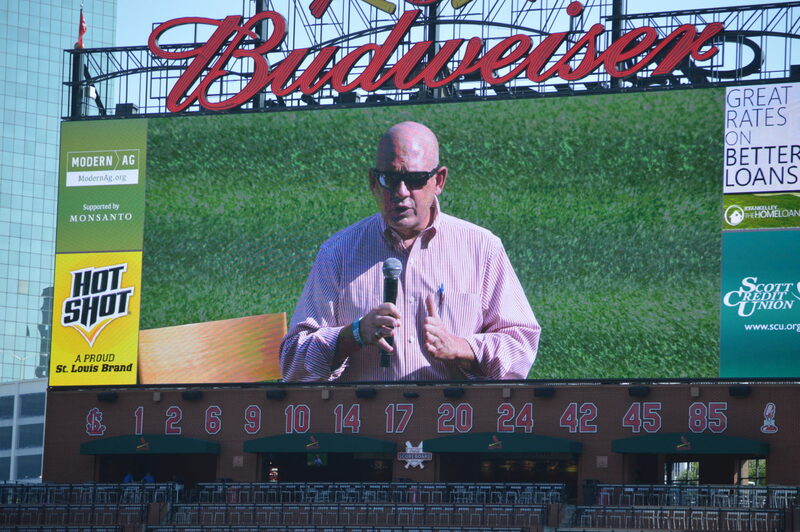 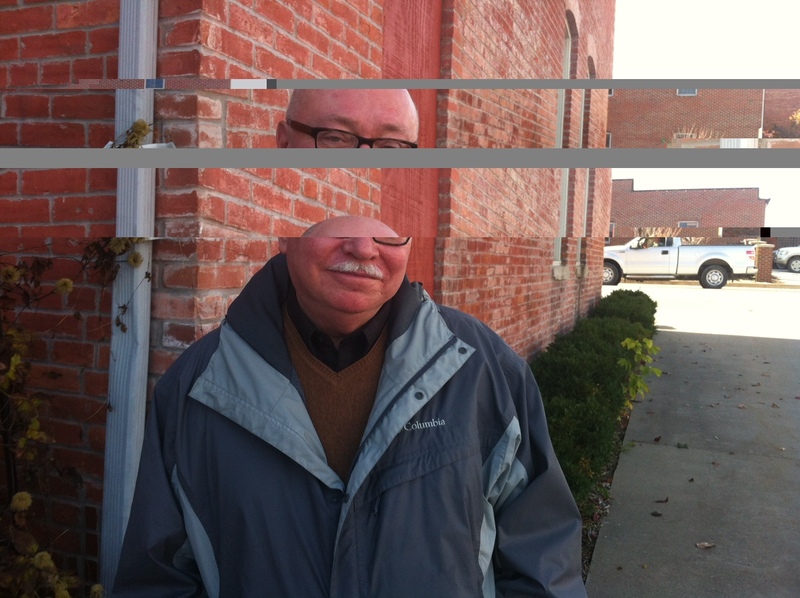 He was also interviewed on the jumbotron. 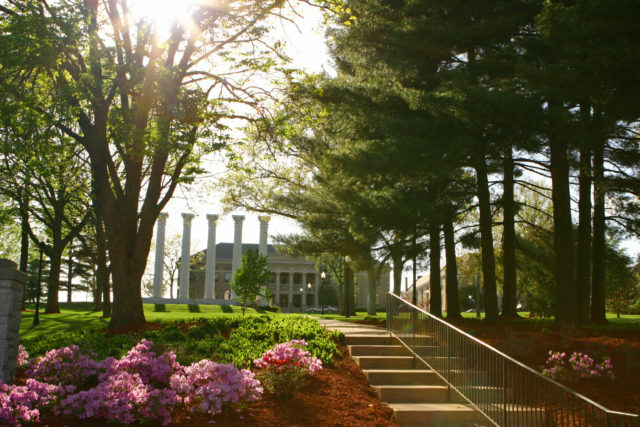 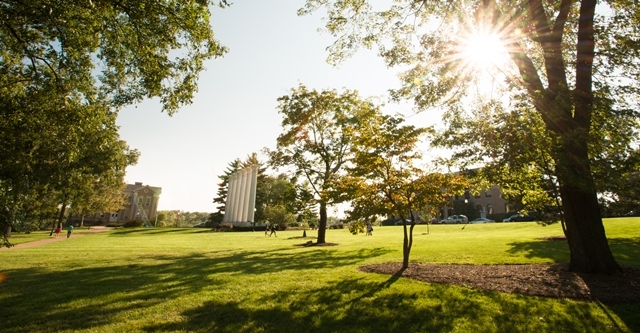 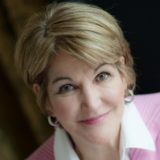 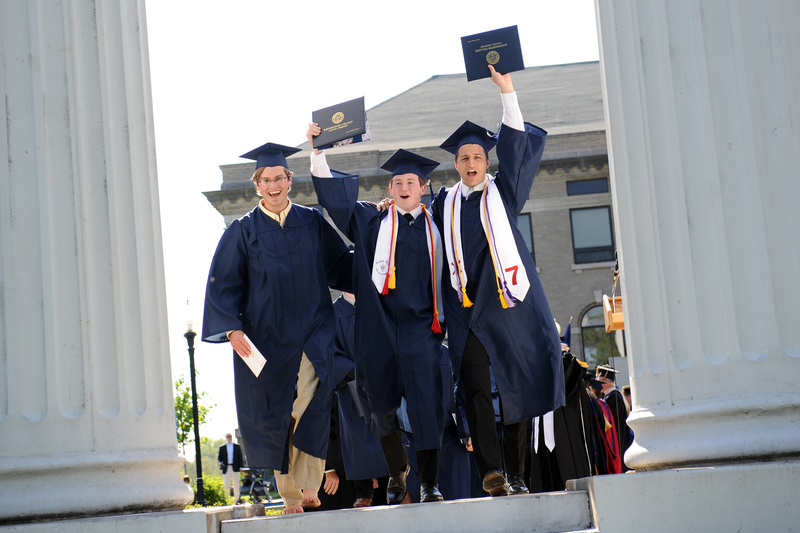 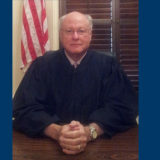 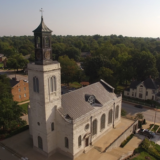 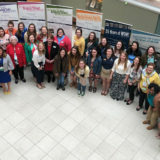 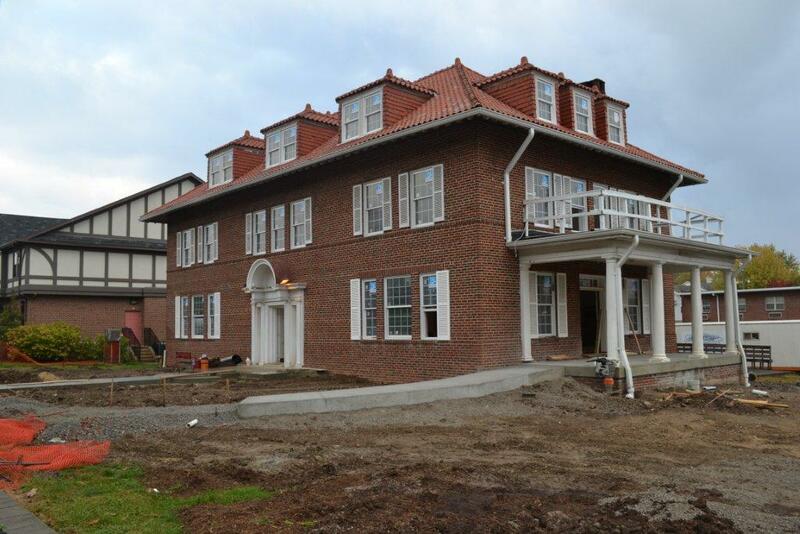 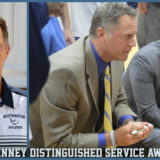 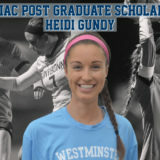 “We showed students that Westminster College has a lot to offer through our academics, athletics, study abroad, and extracurricular programs,” Gruzeski says. 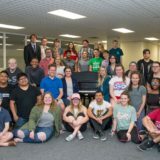 Croghan, who used to work for the Cardinals front office, enjoyed the chance to join his former colleagues on the panel and share with the high school audience about Westminster’s wealth of opportunities. 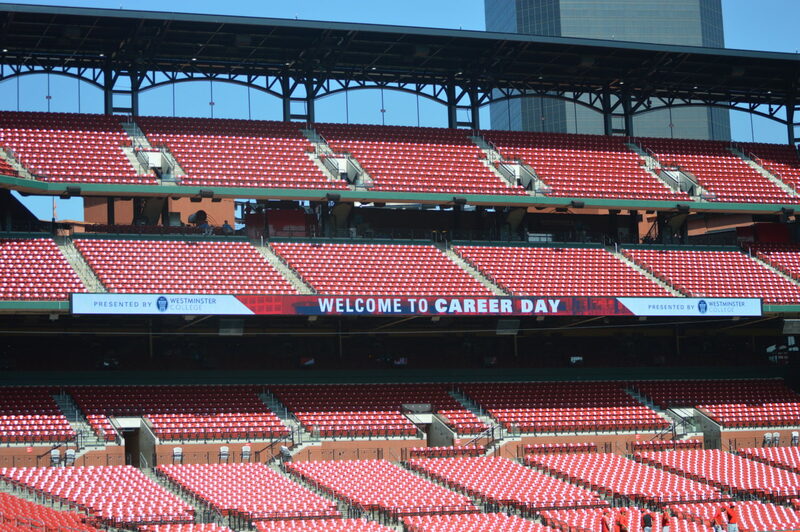 Croghan sees the potential for future recruitment opportunities and possible internships for Westminster students with both the St. Louis Cardinals and the Kansas City Royals. 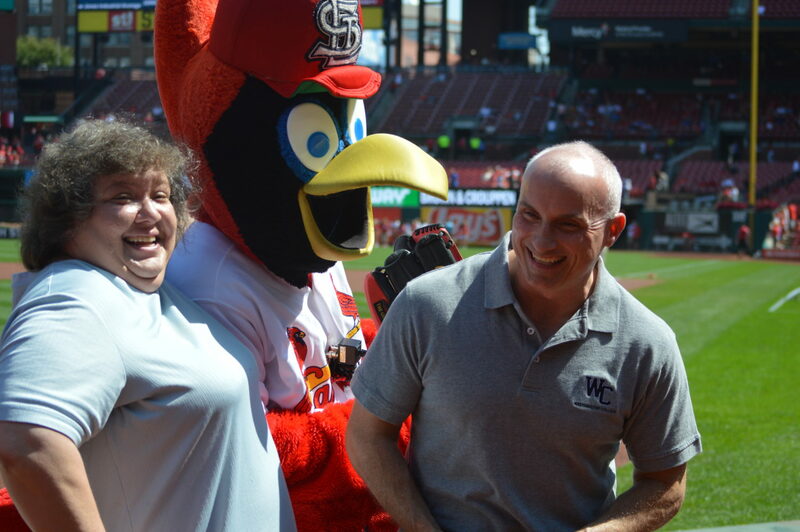 “Partnering with a Missouri icon like the Cardinals is a key component of Westminster’s marketing strategy to reclaim market position as one of the top liberal art schools in America,” says Poole. 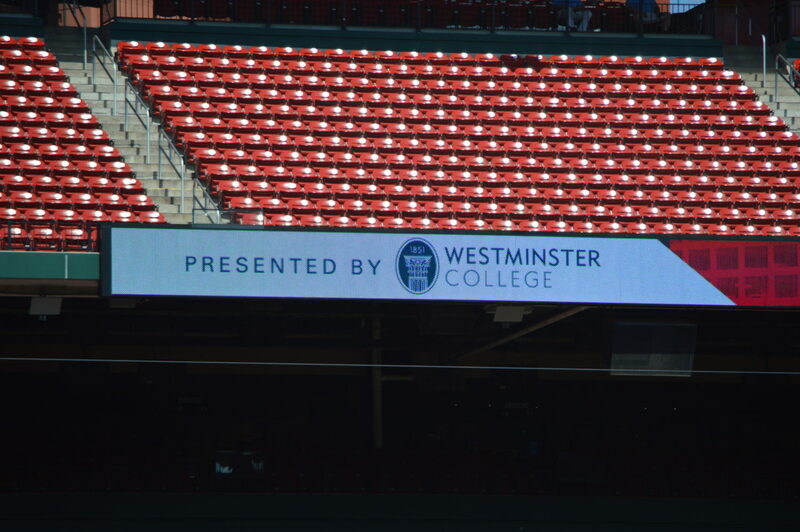 Learn more about Westminster’s Sports and Entertainment Business Management Program here.